At Blue Osa, we offer tailor-made experiences for individuals, groups and retreat leaders. Our packages include yoga, eco-spa therapies and the Best Of Costa Rica Packages. All rates and packages include breakfast, lunch and dinner. Situated in one of the most biodiverse places on the planet Blue Osa Retreat & Spa Beach Resort is a tropical paradise to relax & renew. From the moment you walk through our gates, you will feel different. We offer a complete experience: a world class yoga studio, beautiful and elegant eco-friendly accommodations, a chlorine-free pool, and meals harvested from our organic garden. AND we are only 50-meters from a beautiful remote jungle beach. Our secluded beachfront property is located on Costa Rica’s biologically diverse Osa Peninsula. Here you will find coconut trees, colorful wildlife and crashing waves –– all guaranteed to provide a tranquil setting for letting go and living the pure life. What would it be like to have a vacation where the only decision you had to make was beach, pool or hammock? Book the dates that best work for your schedule, without the structure of a group-led program. Take time for yourself on our secluded beaches, daily yoga, customized massages, eat nourishing meals, and more. Come and join a yoga retreat at Blue Osa! Throughout the year at Blue Osa, we are fortunate to host a variety of yoga retreats! 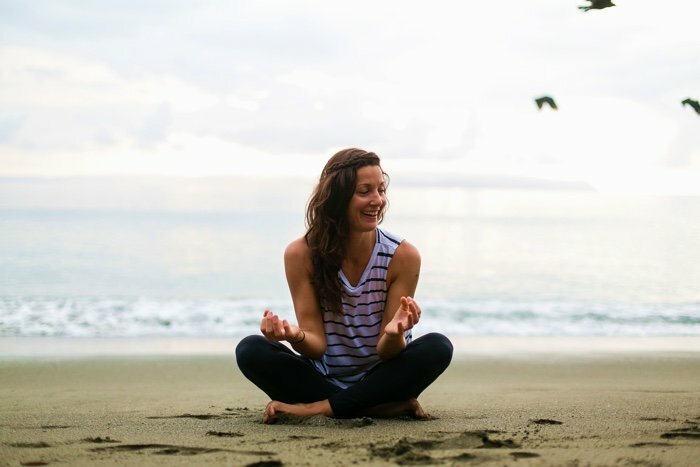 Leading these Costa Rica yoga retreats are exceptional yoga teachers from around the world. We invite you to join one of these renowned yoga retreats. Blue Osa hosts several yoga teacher trainings a year led by Yogi Aaron and other internationally known yoga leaders. Immerse your self into a yoga teacher training program for several weeks. Experience the full power of an immersion and what yoga can truly be for you in your life. Enroll now in the next Yoga Teacher Training Immersion. We’ve curated a variety of Costa Rican Adventures and Yoga Experiences for you to customize your stay. Browse through the following packages or use them to be inspired to create the right itinerary for you. Or if you don’t want to book a package, go directly to our reservation system and book your stay with us. The Detox package is a body cleanse retreat designed to cleanse the physical as well as the emotional body. Shed layers of toxins from the body. 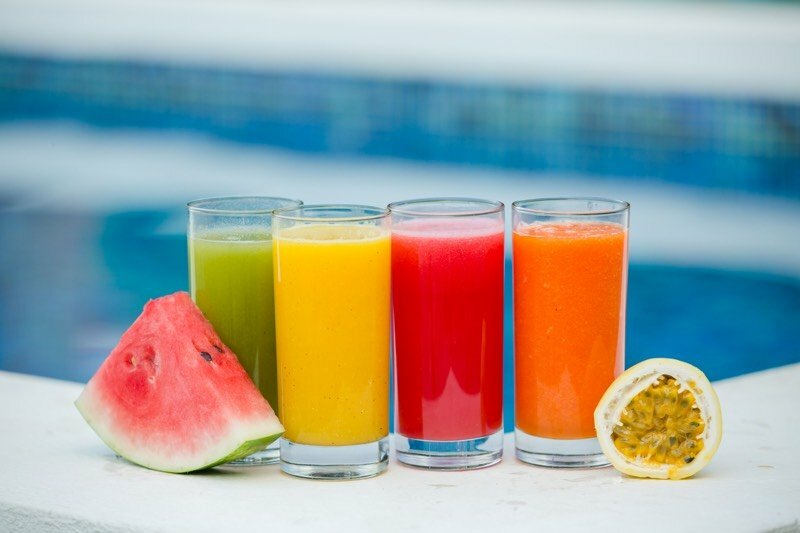 Through the deeply purifying process of meditation, daily yoga practice, juicing, spa treatments and vegan farm-to-table meals, you will find yourself rested and restored. 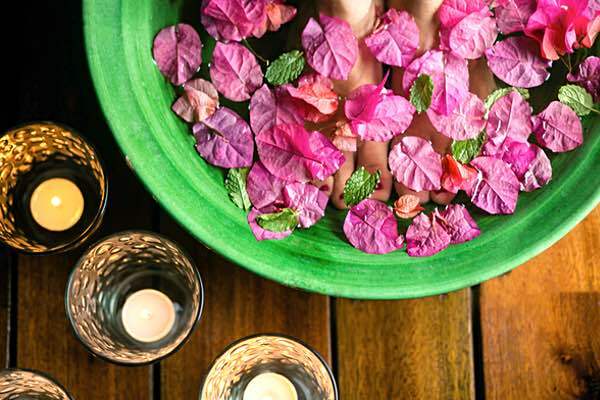 Pamper yourself in the Costa Rican rainforest and indulge in nature’s bounty with a personalized spa retreat. Inspired by the purity of our natural surroundings, we have created a holistic approach to treating mind, body and spirit through the use of natural rainforest botanicals and various Ayurvedic healing modalities. If you crave the 1-on-1 attention of an intimate experience, work with a private yoga instructor to guide you and develop a personal practice in this package. Together you will increase your strength, stability and comfort on your life’s path. Your yoga teacher will take an in-depth journey of self-discovery. Experience a little bit of everything in just a few days! Want to mix adventure and rejuvenation while in paradise at Blue Osa? The Best Of Costa Rica Package allows you to choose your favorites from our most popular spa treatments and eco-adventure excursions: Includes: Accommodations, meals, and so much more! Searching for a comfortable, inspiring and secluded environment for your next retreat? Look no further. Whether you’re a yoga teacher, personal development coach or corporate organizer, Blue Osa Yoga Retreat + Spa can support you in putting together a phenomenal event.